Flap on over to one side, Swallows of San Juan Capistrano, and meet the Pumpkins of Irmo, South Carolina. 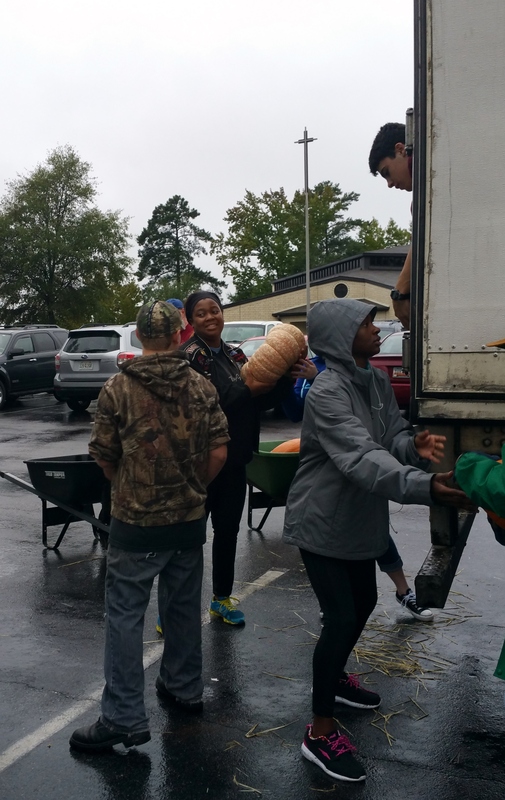 One of the things that drew us to our new parish of St. Simon & St. Jude Episcopal Church (SSSJ) in Irmo, South Carolina, is the commitment to outreach in the community. Outreach takes money, and SSSJ earns the annual outreach budget via the annual Pumpkin Patch. The pumpkins are grown in Utah by Navajo Americans, then trucked to us in South Carolina, all 40,000 lbs. of them, provided on consignment; it’s a giant leap of faith all around. We retain up to 30 % of the profits, funding such outreach ministries as snack and food items for local, economically disadvantaged children who might otherwise fall through the cracks, keeping the lights on for our dozen or so AA and NA meetings on campus weekly, partnering with Resurrections in providing meals to the homeless in Columbia, and many more I don’t even know about yet. Here’s the miraculous part: they don’t come with a fork-lift, so all 40,000 lbs of pumpkins and gourds must be unloaded by hand. Yes, folks, by hand. God Bless the ROTC and Venture Scouts! 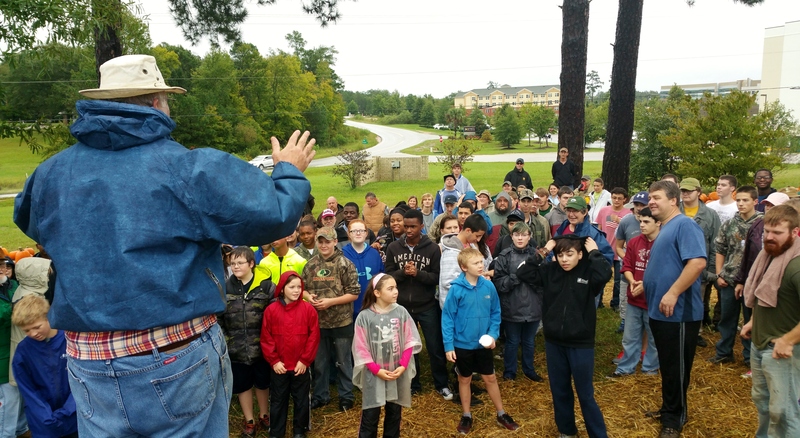 This year, one of our young parishioners talked his Dutch Fork High School ROTC unit into helping, our Boy Scout troop and Venture Scouts turned out, members of the parish, and one former member who drove in from out-of-state appeared, undeterred by the on-coming weather, as I am told he does every year. “It gets in the blood, the pumpkin patch,” he winked in explanation. Our Scout troop had prepared for the arrival by placing pallets throughout the grounds, which keeps our beautiful pumpkins pristine through the month of October, and saved them from Jaquin’s onslaught over the next few days. Volunteers pass the pumpkins down double lines to the pallets. 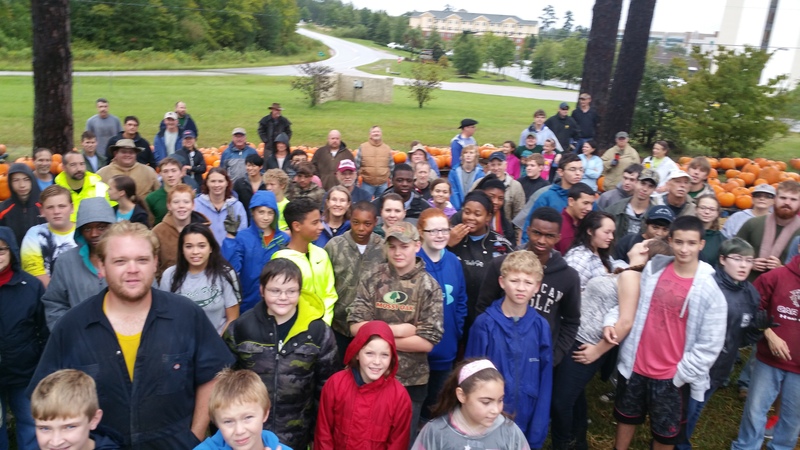 Together, one and all worked unloading, carting, carrying, and placing pumpkins. Big ones, little ones, white ones, lacy ones, pumpkins for every occasion! Before we knew it, the Boy Scouts claimed the honor of the Last Pumpkin. Many hands make light work, and they were finished wayyyy too soon for the cook, but that’s another story. Suffice to say that hot dogs and charred chili with onions tasting suspiciously like spilled coffee, were served to all. When the pumpkins were all off the truck, Fr. Mark reminded us that it is us, the people, who are the miracle of St. Simon & St. Jude’s annual pumpkin patch and all that it funds. Our pumpkin patch is open throughout the month of October, seven days a week and, while you might think you’re just buying a pumpkin, you’re actually providing snacks for needy children, a meal for a homeless person, food, clothing, and shelter to flood victims, and so much more. One side of the grounds, thoroughly pumpkin’d. 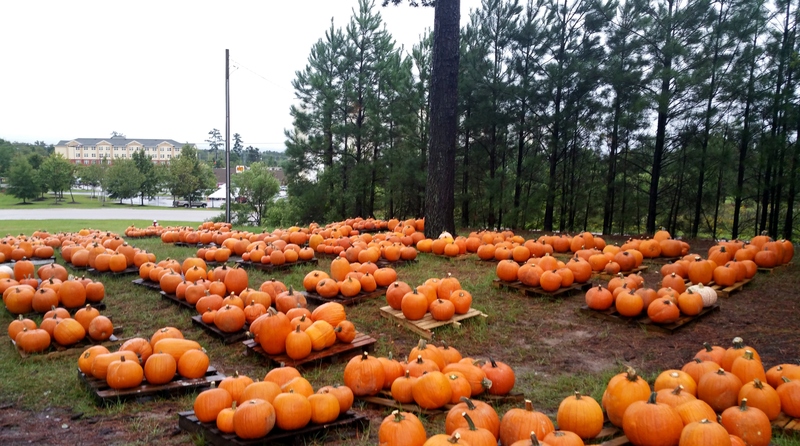 This is the miracle of the pumpkins, in Irmo, South Carolina. Can We Have Honest Conversations about Guns on Campus? Please?